My Wicked-obsessed teenage self was very excited to sit down with the one and only Kristin Chenoweth recently. If you are in the New York area at all, get your hands on a ticket to On the Twentieth Century. It’s all-out musical hysteria and this diva completely nails it. Check out my cover story over at Backstage! And stay tuned! Welcome to Haiku Reviews, a series of reviews dedicated to condensing and expressing productions of theater in seventeen-syllable poems. If you don’t have time for a 600-word lecture, click on the Haiku Review tab and chew on some bite-sized theater criticism. 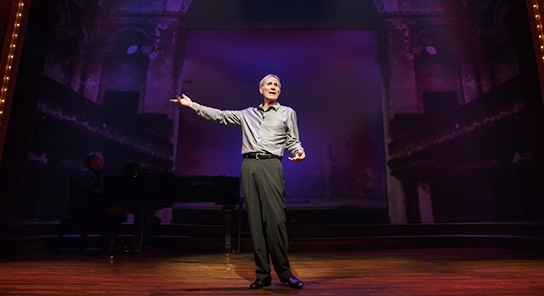 Today’s installment is Roundabout Theatre Company’s production of the great Jim Dale’s one-man show, Just Jim Dale, playing until August 10, 2014 at the Laura Pels Theatre.